Clinton’s newish bivalve and cocktail haunt La Moule counts down to 2016 with a la carte oysters deals, a special $50 three-course prix fixe menu (braised short ribs and dark chocolate tarts), and free bubbly—all soundtracked by the sleazy-glitzy playlist of ‘70s-era glam rock. Nothing washes away the nasty taste of a year filled with Trump and terrorists like quality seafood and Bowie. $10 entry fee per person; entry fee waived with dinner order. Reservations strongly encouraged. Call 971-339-2817 or email info@lamoulepdx.com. Is this it? Mixing NYE Seagram’s 7-and-gingers in your sad little kitchen clad in a pair of TMZ novelty sweatpants? Not this year, my friend. Instead, invest in a new, better you—the kind of you that gets gussied up and drops $100 on tickets to Multnomah Whiskey Library’s New Year's Eve Cocktail Party because you deserve nice things too, dammit. With its plush leather couches and elephantine whiskey collection, MWL already makes you feel like a throwback railroad baron on a random Monday night; imagine what it could do on a holiday that revolves around drinking? 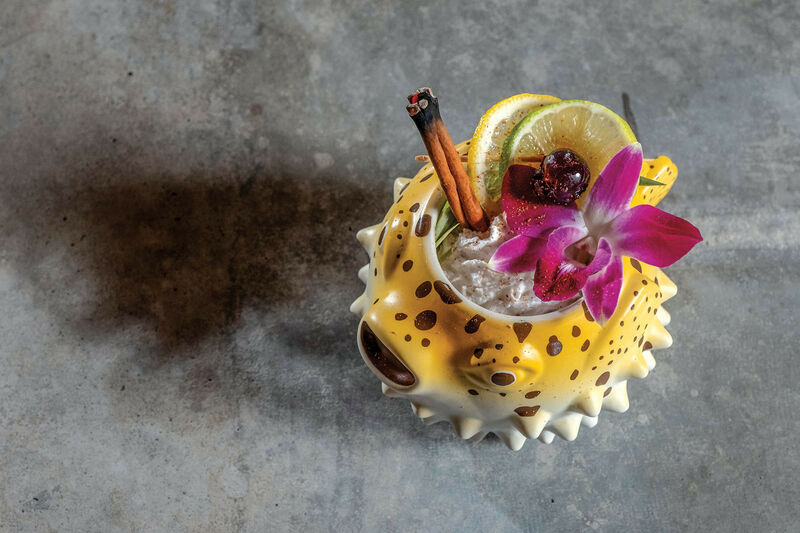 The bar promises a “welcome cocktail,” passed hors d’oeuvres, an app buffet, champagne toast, and raffle tix for everything from a MWL membership to a shot of Pappy Van Winkle 23 or Macallan 30 (!) “Black tie encouraged,” people. $100 per person ($75/members). Reservations required. Tickets here. The stunningly creative team at Din Din Supper Club kicks off off the new year with an ethereal, 9-course Champagne in the Clouds feast (literally…it’s decorated like a cumulus dream). Dishes include uni custard with porcini mimosa and baby sorrel in eggshell to foie gras panna cotta and duck fat seared scallop with cassis hyssop sauce and pain d’épices. Whoa. Plus, champagne aplenty, the stereo shall pump ‘80s and ‘90s pop tunes, and guests are encouraged to rock “white sequins and Champagne colored suits.” In other words, this is straight up heaven for a certain subset of Portlanders. $150 per person. Reservations required. Tickets here. 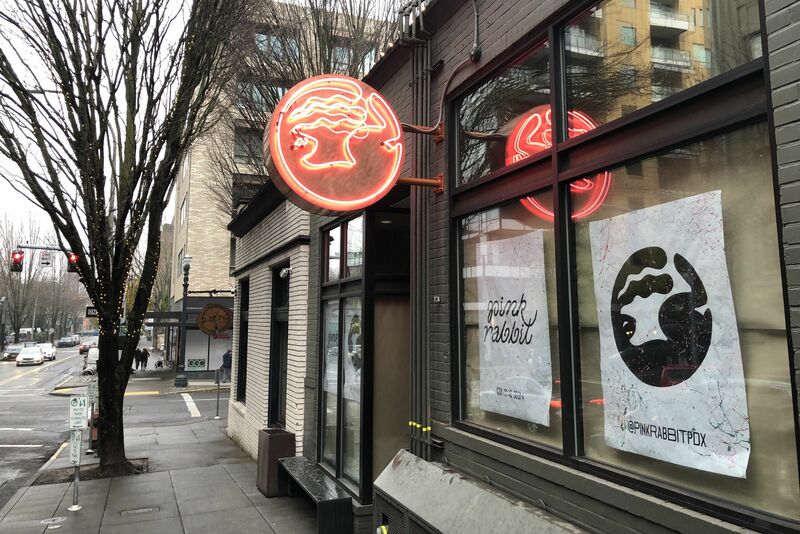 There are few rooms filled more good cheer (and cords of wood) than Northeast Portland standby Ned Ludd. The restaurant celebrates six years in the biz, and the year to come, with an indulgent array of goodies, available a la carte or in a grand tasting menu. Think crab salad with beets and smoked trout roe, beef with pommes fondant and pomegranate sauce, thick slabs of chocolate cake with cinnamon crème anglaise and stewed figs, and oysters, of course. There’s a few early seats left. Get on it. Reservations recommended. What’s better than a six-course tasting menu? A six-course tasting menu with a 100 percent probability of house-cured meats. 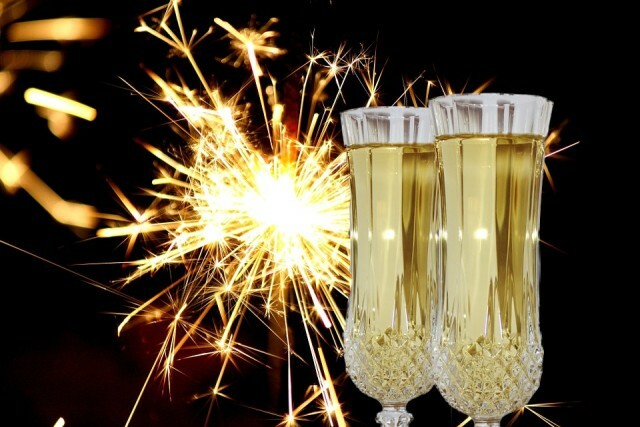 In other words, a New Year’s Eve Chefs Tasting Menu at Olympia Provisions. The Southeast location offers up venison carpaccio, house French charcuterie, braised lamb shoulder, mushroom risotto, frozen kir royales, and more while the Northeast outpost pimps sweet potato tartlets, more charcuterie, Dungeness crab and assorted seafood stew, Valrhona chocolate terrine and more. You really can’t go wrong. $65 per person; $100 with wine pairings. Reservations strongly encouraged. Northeast 28th Avenue farm-to-table old schooler Navarre is pretty much a small plates celebration all on its own; NYE brings Navarre’s three-course, family style Alsatian Feast served in three seatings (5:30 pm, 7:30 pm, and 9:30 pm). John Taboada and company promise “a little bit of everything,” which, given the hearty grub traditionally found along the border between France and Germany, could include bacon-onion tarts to rich stews or choucroute garnie. Who knows. Taboada’s other restaurant, Luce—home of the world’s best chicken soup among other delights—offers up five courses of Italian perfection. Navarre: $65 per person; $20-$35 for wine pairings, reservations required at 503-232-3555. 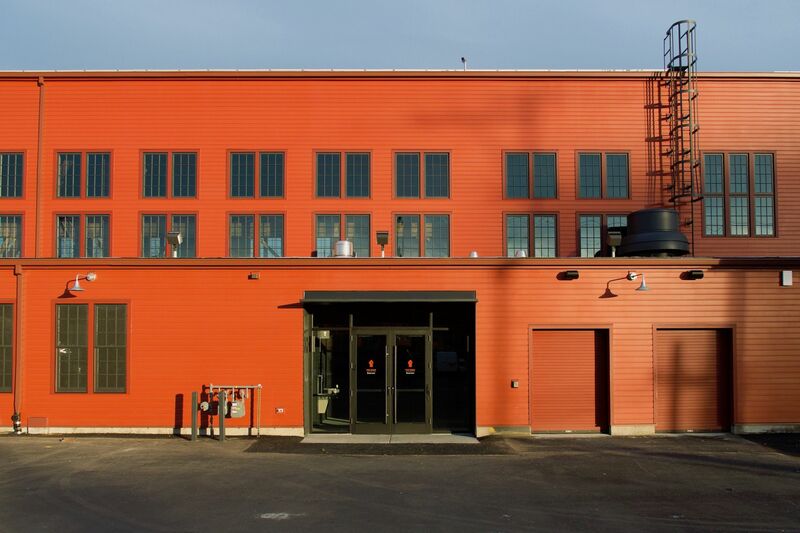 Luce: $65 per person; $20-$35 for wine pairings, reservations required at 503-236-7195. Boke Bowl's signature Bloody Mary. Both Boke Bowl locations take pity on the hungover foodies and host New Years Day brunch service for the first time ever. 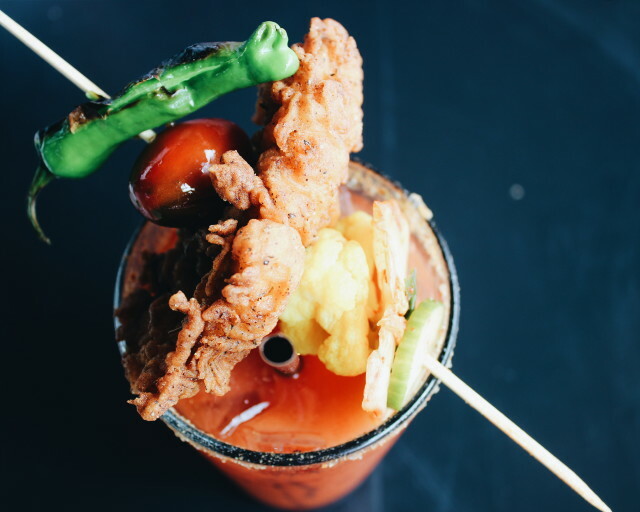 Full menu and full bar; including the most weirdly delicious Bloody Mary of all, crowned with fried chicken and pickles. A note: the seasonal ramen is spicy chicken dashi with house chicken sausage. So, yeah, you should probably devour that. 11 am-9 pm Friday, Jan 1. No reservations. 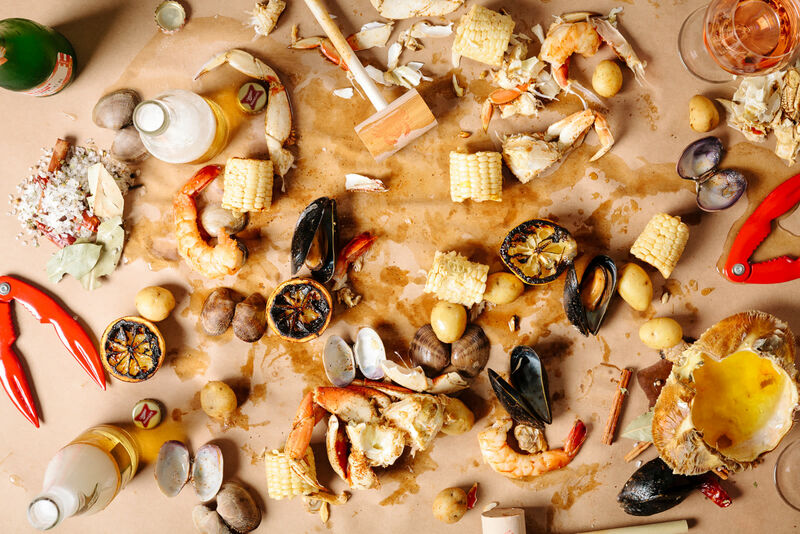 Struck out on Ned Ludd’s NYE Dinner? No worries, the kitchen has thoughtfully provided a Ned Ludd New Year's Day Recovery Brunch, packed with “traditional 'good luck' and restorative dishes from around the world.” Ex: cheddar biscuits, frittata, alkaline noodles with pork belly, and Hoppin John-black eyed peas, cotechino and lentils, and—the most restorative things of all—Ludd’s oven baked chocolate chip cookie and a Bloody Mary. Yes, yes, and yes. 1 am-3 pm Friday, Jan. 1. Reservations recommended. Sure, you're probably gonna wait for more than an hour (or two) to stuff your face with HK Cafe dim sum on New Year's Day, but really, is there any better breakfast than this 82nd Avenue spots' rattling carts packed with flavor bombs? The correct answer is no. Walk 20 feet and check out used titles at GameStop, stroll to Dollar Tree to buy toothpaste, or get all jittered up at Starbucks or something until they call your number. Once you're seated, the wait is forgiven: Nibble plump, pork-and-shrimp-popping siu mai dumplings and sautéed green beans heady with tiny fermented shrimp. Sample translucent, sesame- and chile-slicked jellyfish salad, roasted meats, and snack innards. Flag down a server and demand an egg yolk bun—a yeasty mind-scrambler hiding a drippy trove of hot, sweet golden goo inside. They are round, sugar-crusted, and usually hide in the bottom corner of the glass-doored carts. Find them. Dim sum service starts at 9:30 am. Eastport Plaza, 4410 SE 82nd Ave. Or, check out Ocean City or Wong's King; they're also worthy of your morning love.